Only issue I have is Swierczok instead of Piatek, and why in the world is Peszko on this team? He must really be tight with Nawalka and Co. I'm sure he'll most likely be gone after first cut, but still. *I think a lot of younger guys are being taken to this camp as a reward for playing well recently, but would be hard pressed to make team at this stage. Given that, I think Nawalka may be tempted to take another faster winger, maybe leave one CB back? Kaminski? and Rybus goes back as an LB? Stepinski may be a bit of a surprise not even being called up, but being fair to Nawalka he has seen enough of him at the nt level over the past few years to leave him back?...doesnt mean he is done, young guy, still can make a good nt career for himself - just has to keep it going. Also there are some health issues: Kuba and Makuszewski, I think the latter will go for the former - but depends which one is healthy - if neither - he is taking peszko or one of the kids. Doesn't Peszko get picked mainly because of his presence (team morale etc.) and experience? I'm not saying that's a bad thing, just mean that I'm not really surprised to see him in there. Also, unless I'm completely behind on the state of Polish footballers, but it's crazy that at the Euros Kapustka was seen as THE next big prospect and now he isn't even being picked. The move to Leicester was a bad one even before he arrived there...... or maybe he's just not that good? Wonder what will ever happen to that Bielik guy at Arsenal as well. Another "big prospect" and he's completely disappeared. Kapustka went to a very physical league (EPL), but look at his size. Also I remember reading the Leicester coach and even the Freiburg coach mentioning he doesn't take his defensive assignments seriously. On a side note I do have to say it's refreshing to have the Kapustka situation the exception to the rule these days, as opposed to the rule as in the past where a Polish player leaves Ekstraklasa and shortly returns because he can't cut it. Most of our young players now leave, stay, and develop in foreign leagues which is very welcoming. By sitting on the bench and that doesnt do anything for you. He might as well come back to EK. 3rd keeper: Skorupski vs Bialkowski. Based on his age and the fact that he performed much better in the last friendlies, I hope Skorupski makes it. Although I would have preferred Nawalka bring a younger keeper as the 3rd option (ie Loska). 2nd left-back: Kedziora vs Jedrzejczyk. Kedziora is more talented and plays regularly for Dynamo Kiev. Jedrzejczyk is tested and liked by Nawalka but has not played well this season for Legia. I see Nawalka picking Jedrzejczyk based on the fact that he knows him and has started him at the LB position 12 out of Nawalka's 25 Poland non-friendly games. Kedziora might get a position as a defensive RM if he does very well during this training camp. 4th centre-back: Kaminski vs Bednarek. Bednarek made a case for the NT only recently as he started playing for Southampton - and playing well. Kaminski only comes in in the late stages of games for Stuttgart as he has Pavard, Baumgartl, and Badstuber all ahead of him. I think Bednarek will get the nod as he is younger and choosing him will reap benefits in the future. I don't expect him to get much playing time in the WC. 4th DM/CM spot: We know Krychowiak, Linetty, and Zielinski are in. Normally I would expect Nawalka to pick 5 central players but I feel Kownacki will take the place of the weakest. That leaves Maczynski, Goralski, Dawidowicz, and Zurkowski to battle it out. The battle is going on as recently Goralski suffered a shoulder injury from a collision with Dawidowicz. I expect this position to be a very important decision for Nawalka as this will be Krychowiak's back up and we all know what kind of season Krycha has had. Ideally I would love to see Zurkowski be called-up but we don't have that kind of luxury to call-up an inexperienced player at this position. If Goralski's shoulder injury is minor, I expect him to get picked. Maczynski is not strong enough and hasn't played since April 7th. Backup wingers: I'm expecting Nawalka to call-up 4 wingers. Two of them will be Grosicki and Blaszczykowski leaving 2 spots for Frankowski, Szymanski, Peszko, and Kurzawa. Unless Peszko is completely out of shape, I expect Nawalka to call him up. This is a case of the best players don't always make the best team. Nawalka likes him and he hasn't let him down. Szymanski is a tough call. He's young and just came on the scene and hasn't really solidified what type of player he is; winger or attacking mid. Based on his inexperience and small size, I don't think he will be of use for Nawalka at the WC. Kurzawa has impressed Nawalka. He has had a break-out season at Gornik and in my opinion has the best crosses of anyone on the NT. 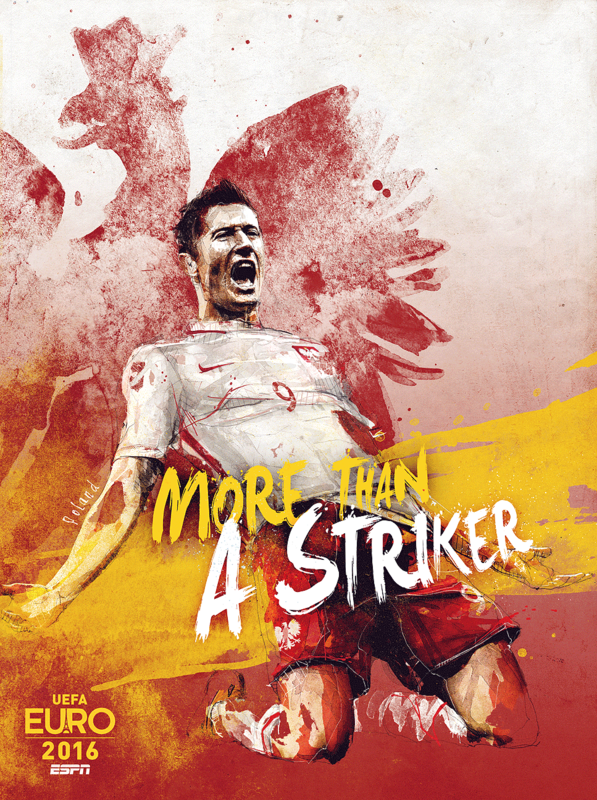 He did very well on set-pieces vs Nigeria and led the EK in assists this season. He's in. Frankowski is an energetic RW that could be a good option in the late stages of a game. However, if Blaszczykowski isn't able to start a game yet, I think Nawalka will modify his formation and players like Zielinski, Kownacki, or Milik will fill that gap. Close but I don't think Frankowski will make the cut. The third forward: Lewandowski and Milik are obviously in but who will be Nawalka's 3rd forward (Teodorczyk, Kownacki, or Wilczek). First off, Kownacki is making the squad. Even if any of the other two also make it, Kownacki is versatile enough to take the spot of someone else (Maczynski/Peszko). Teodorczyk is a poor man's Lewandowski. They can't play together as exhibited vs Armenia when they both started. He is purely going to be a Lewandowski sub or if we're losing, a late sub hoping for a header from him. Wilczek is in the form of his life and could potentially bump Teodorczyk out of this squad. This will all come down to who does better at training camp. If I would have to bet, I would pick Teodorczyk as Wilczek has played a total of 5 minutes in non-friendly games for Nawalka. I agree with your picks with the exception of Goralski over Maczynski. I think Nawalka will pick Maczynski for the same reason he'll pick Jedza over Kedziora, which is the fact he has tested him and he feels comfortable with him. Skill wise I think Goralski is better, team wise though Nawalka will probably take Maczynski. You might be right. If Maczynski didn't just come off an injury, then there would be no contest. Who knows, maybe Nawalka will take both of them at the expense of someone else. I just think we need grit against teams like Senegal. If you recall our friendly against Nigeria where they bullied our midfield and very aggressively fouled our players including Linetty who had to come off injured. Goralski came in for Linetty and right away strongly tackled a Nigerian to show him to back off. In case anyone is interested, I also did some analysis of starting XIs of our opponents. These are educated guesses of how our opponents will line-up against us. (With Japan having a brand new coach - very much a guess.) Assuming Nawalka goes with a 4-2-3-1 (Szczesny, Rybus, Glik, Pazdan, Piszczek, Linetty, Krychowiak, Zielinski, Grosicki, Blaszczykowski, Lewandowski), our average age would be 28.4 and our total value would be 208,000,000 euros. Last edited by *Chris* on Mon May 28, 2018 8:49 am, edited 1 time in total. Very true. Senegal is going to try to own the centre of the field with their strong CMs/DM and distribute to the wings (especially to Mane). I think it's going to be a close group with no team getting more than 6 points. I agree. I approve Chris and his final 23 except I also see Mączyński going. Think Euro 16. Other than Skorupski, I was right about the squad. Let's just hope Glik recovers quickly. Poland World Cup Champs!!! mvp = Pazdan for running water/Gatorade out the fastest ever to the Defense! !